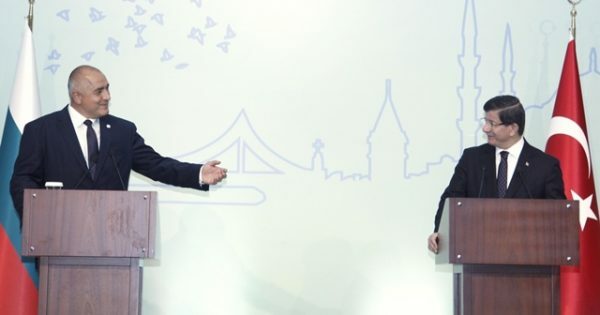 Bulgarian Prime Minister Boyko Borisov has sent a congratulatory cable to his Turkish counterpart Ahmet Davutoğlu on successful holding of parliamentary elections in the country and the success of Davutoğlu’s party, the Bulgarian government media office said on November 2. “I am confident that the expressed democratic will of the Turkish people will create a sound basis for consolidating the progress of the Turkish state in all areas, as well as the further expansion of our bilateral relations,” Borissov said. The election on November 1 returned Turkey to single-party rule just five months after the AKP lost its majority in parliament for the first time in more than a decade. The party won just less than 50 per cent of the vote to hold about 316 seats in the 550-member body, the Voice of America reported.